Anyone who knows me understands the importance of color in my wardrobe (and life!) and I am beyond thrilled to announce a new series sponsored by THE color experts at Pantone. The Pantone team selected a gorgeous palette of fashion trend colors for Spring 2014, and I've created a collection of outfits showcasing their forecasted hues, shown below. I debuted all of the outfits at The Art Directors Club's 92nd Annual Awards Gala on April 4 in South Beach, and I'm excited to unveil the first installment (featuring Magenta Purple) here tomorrow. Many thanks to Giovanni with Pantone, my quick change specialist, Olga, and my longsuffering photographer, Kathy. ARTFULLY AWEAR + PANTONE: Knockout Pink. 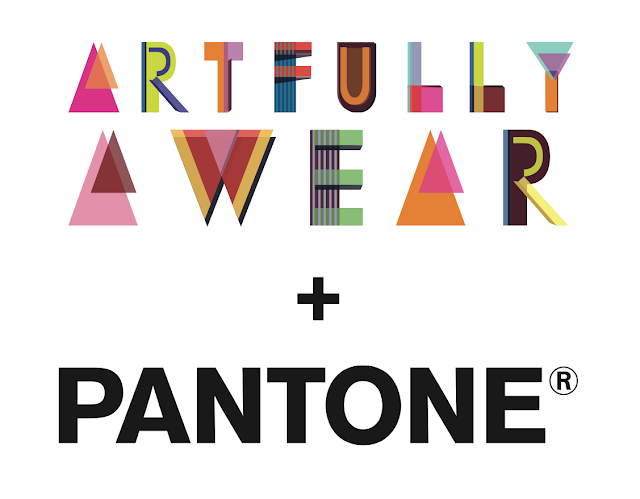 ARTFULLY AWEAR + PANTONE: Grenadine. ARTFULLY AWEAR + PANTONE: Magenta Purple.